Out of all the industries that were hit by the recession in 2009, the green industry managed to do what most couldn't -- grow. In fact, an American Solar Energy Society report predicts that if this type of business continues to develop at its current pace, nearly 40 million green jobs will be generated in the U.S. by 2030. Additionally, this burgeoning industry is expanding its reach across the U.S. with five states poised to experience a boom in green-collar jobs in 2010. Researchers for the study decided on these five states after measuring more than 20 specific green-job boards and major job search aggregators. California tops the list because there were more than 7,500 green jobs posted online for this state. What's more, most job seekers were looking for green jobs in the engineering or sales field. But even though California is first on the list, the ASES study predicts that Colorado will become a significant force in the green industry. "Renewable energy and energy efficiency industries are significant economic drivers in Colorado, and are well positioned for future growth ... [And] despite fierce competition from other regions in the U.S., Colorado is a disproportionally large player in the renewable energy industry," reports ASES. ASES found that green jobs generated more than $10.3 billion and sales and added more than 91,000 jobs in Colorado. And, most of the green-collar jobs experiencing growth in that region include electricians, truck drivers, welders, machinists, roofers, accountants, cashiers, software engineers, civil engineers, energy efficient construction, and energy audit specialists. These green-collar jobs are a great fit for servicemembers who want to help "green" America after they retire or transition out of the military. Many of the skills sets veterans have are easily transferrable to green jobs and desirable by employers. And, Veterans Green Jobs -- an online provider of green-job education and veteran transition support -- touts this industry for providing job security and a prosperous career to former military personnel. 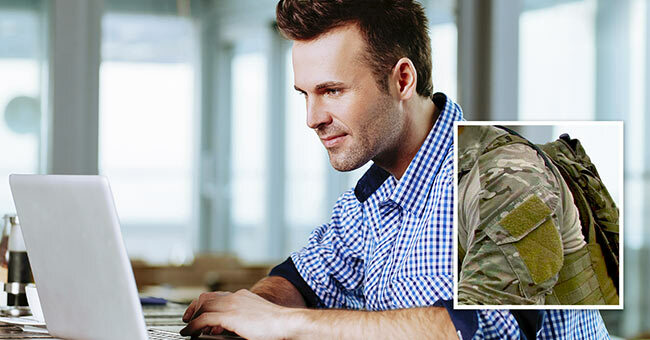 If you want to land a job in the green industry, visit Military.com's Veteran Job Board to search renewable energy jobs, or Veteran Green Jobs to learn more about this growing career opportunity.